Arctic Slope Telephone Association Cooperative (ASTAC) is a small company that serves towns and villages along Alaska’s North Slope coast and down the state’s west coast as far south as Kotzebue, Noorvik, and Selawik. 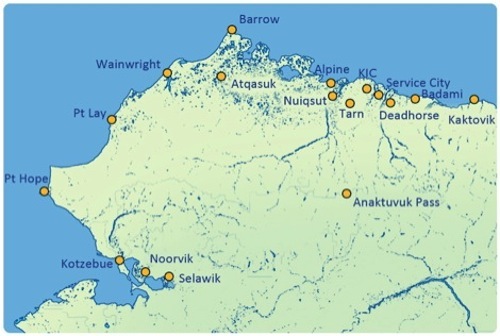 “In keeping with our core belief that everyone in our communities should have access to reliable and affordable telecommunications, ASTAC is proud to offer assistance programs to qualified applicants through our LifeLine and LinkUp programs.” That’s why the company offers unlimited local minutes within North Slope, unlimited texting. They also allow up to six additional lines to share local service. ASTAC does put some heavy restrictions on its free service, however. For example, if you want to add long distance calling to your plan, you’ll be required to pay a $200 deposit, but you’ll get 500 minutes on the main number only. And overages can eat you alive because you’ll be charged $.25 per minute. Unfortunately, roaming calls in the Lower 48 are not available, and 411 calls are $1.50 each. “What kind of name is Arctic Slope Telephone Association Cooperative”, you may be asking yourself. Instead of being a privately-owned or publicly-owned company, ASTAC is what’s known as a “member-owned telephone utility cooperative”. It offers a wide range of telecommunications services to the residents of Alaska’s North Slope region. ASTAC’s service area covers 90,000 square miles and is mostly roadless, remote arctic emptiness. The company offers its customers nine service offices — eight of them are located in the region’s traditional villages and the ninth one is located at the oil facilities at Deadhorse-Prudhoe Bay. ASTAC was formed in 1977 when Arctic Slope residents realized their futures were dependent on the availability of basic telephone service.